Back by popular demand! You’ll want to bring the whole family to this not-to-be-missed holiday event! 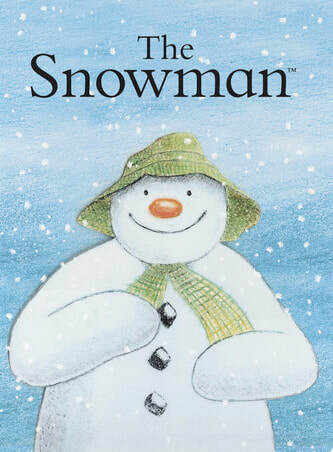 The Snowman is an Academy Award-nominated animation based on Raymond Briggs’ classic children’s book of the same name. It tells the endearing story of a young boy who builds a snowman that magically comes to life, and the two go soaring through the sky on an unforgettable enchanted adventure. The BSO performs Howard Blake’s beautiful soundtrack live with the film. Welcome vocalist Emily Walter as we enjoy a variety of selections that celebrate the holiday season! Tickets available with cash or check at the door, in advance at Lueken’s Foods North/South, or with a credit card at brownpapertickets.com. Adult $20, Seniors 62+ $15, college students with ID $10. Students grades K–12 admitted free. All seats general admission. Doors open for seating at 6:30 pm. ​We thank Sanford Health of Bemidji for sponsoring this concert.